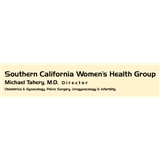 Southern California Women's Health Group (Los Angeles) - Book Appointment Online! At SOUTHERN CALIFORNIA WOMEN'S HEALTH GROUP, We are experts in the field of Obstetrics, Gynecology, Infertility, and Urogynecology. You can depend on us for your well woman exam, as well as treatment of complicated hormonal disorders, minimaly invasive surgical solutions, and cosmetic vaginal repairs. We employ the latest and most effective treatments for pelvic pain, irregular vaginal bleeding, fibroid, and endometriosis. Visit us for consultation at our Glendale or Los Angeles locations. Our Glendale and Los Angeles Gynecologists, under the supervision of Director Michael Tahery MD, a Urogynecologist, treat all Obstetrics, Gynecology, Infertility, and Urogynecology problems with outpatient treatments for Urinary incontinence, pelvic pain, and fibroids.